A year ago this morning, I was sitting on a plane with my brother, Chris and sister-in-law, Karen. We were headed to San Francisco for a few days to see my cousins Melissa and Steffen. A few days later we would all be boarding a plane to Maui to start our Hawaiian 5-0 vacation! 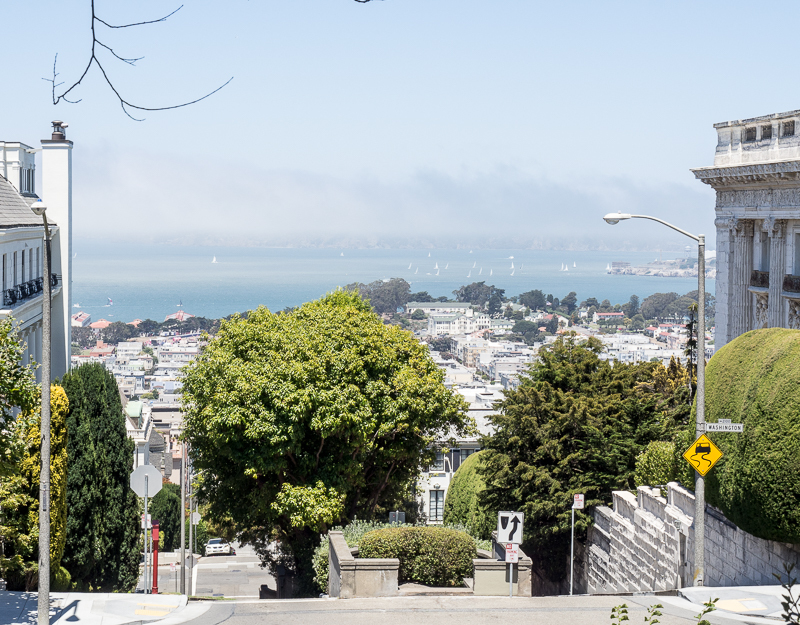 The first photo is taken from Lafayette Park looking out to the SF Bay. The second photo was taken out our hotel window at the Holiday Inn San Francisco-Golden Gateway.